If anyone from McClain’s RV is reading this, it’s been a few days since I left VMs with your Corinth Store Service Department, looking for a time I can bring in the unit for winterizing. You still have not responded–so never mind. I’m going to do it myself. 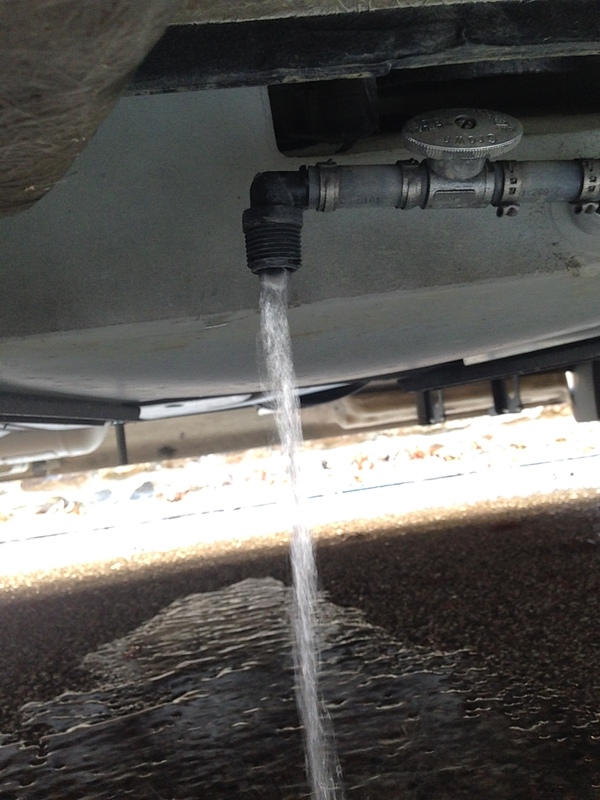 The Winnebago 70X Owner’s Manual provides 2 ways to winterize–the blown air method or the RV antifreeze method. I’m doing the first one as it will probably be sufficient for the usually mild North Texas winters. First, we need to drain the fresh water tank at its lowest point. There is a valve under the chassis just behind the passenger seat. A quarter turn of the valve gets that water draining. Next, the hot water tank has to be drained. 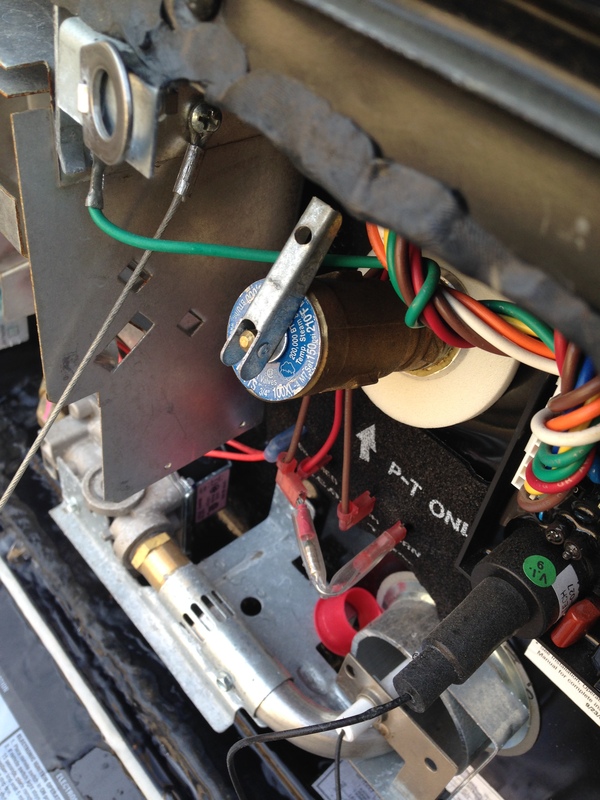 On the left hand side of the Conestoga, release the panel and you will see the plastic plug that has to be removed. 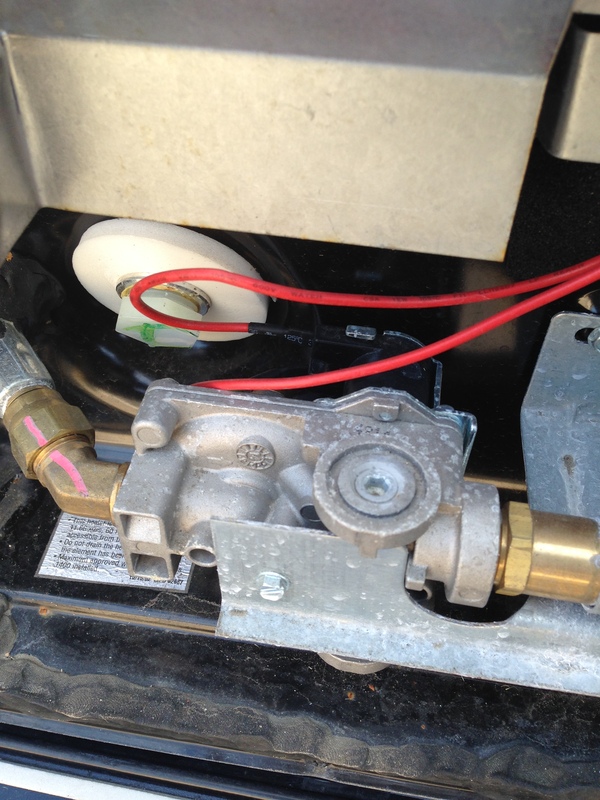 Although the Winnebago guide says a socket and ratchet can be used to remove the plug, I could not fit one between the gas line and the housing (it requires a large socket). I used a pair of pliers to twist the plug to the left, being careful not to strip the edges of the plug (remember-left to loosen, right to tighten). The water pours out. Once the water stopped draining from the water heater and fresh water tanks, these were closed (so as to allow the water pump to create pressure in the lines). 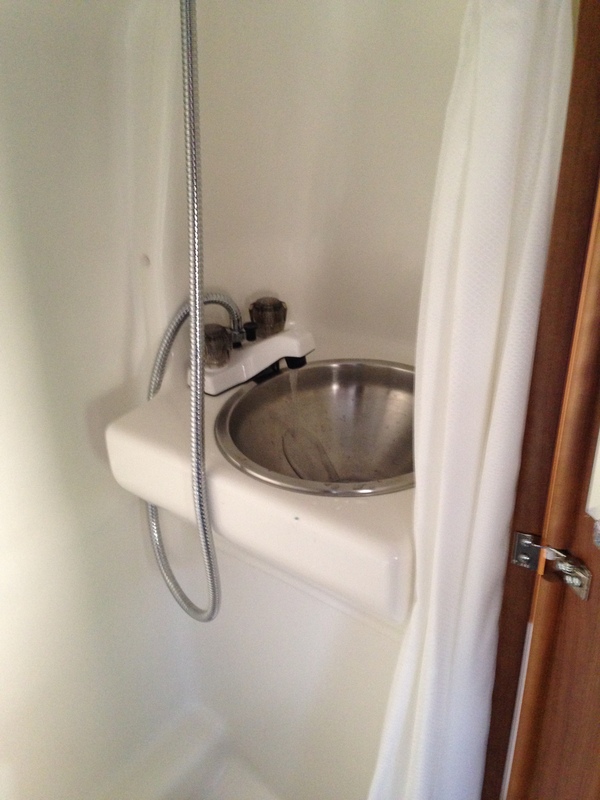 Then, the outside shower hose was attached, and both faucets opened, and the inside faucets were opened and the water pump turned on to pump out as much water from the lines as possible. Once the water was pushed out of the lines (to the extent the water pump was able to do so), the water pump was turned off and a low pressure (30 psi) compressed air source was introduced at the city water inlet to push as much additional water in the lines as possible into the sink drains/outside hose. 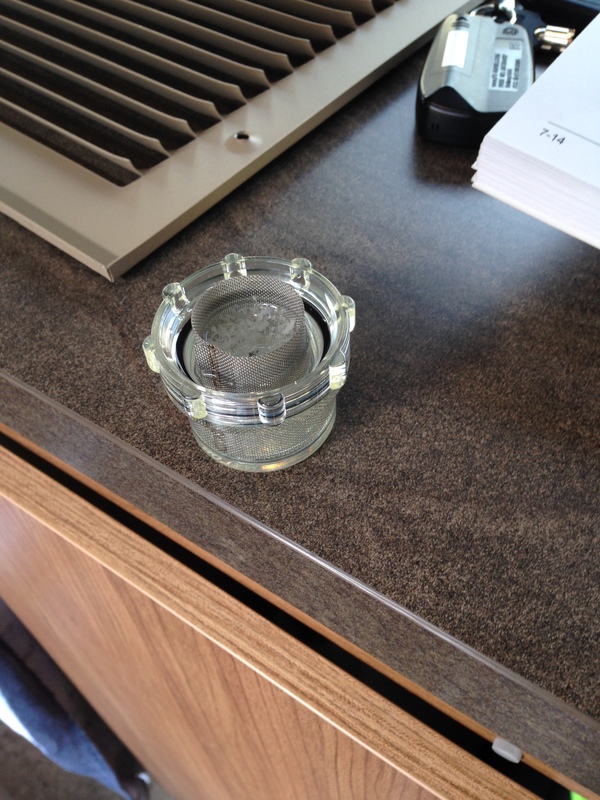 Winnebago sells a plug that fits over the city water inlet to receive the compressed air nozzle. 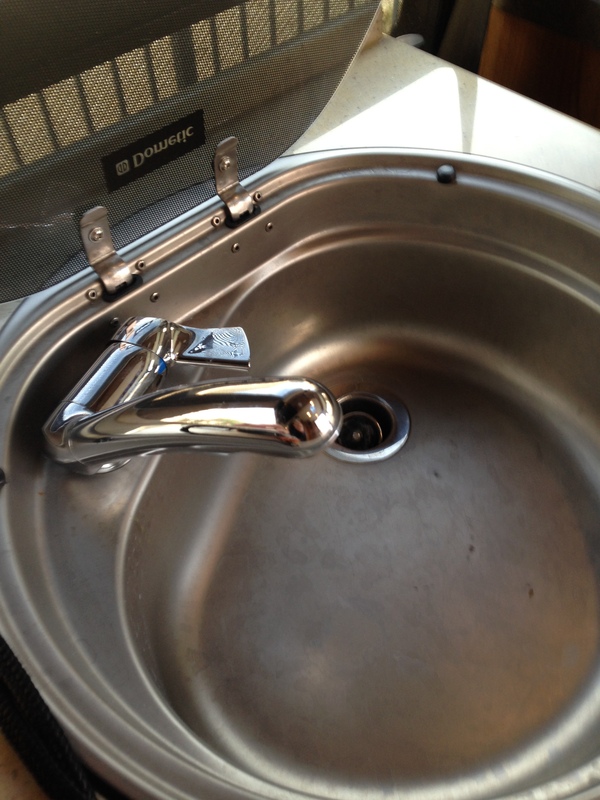 Once completed, all the faucets were closed. 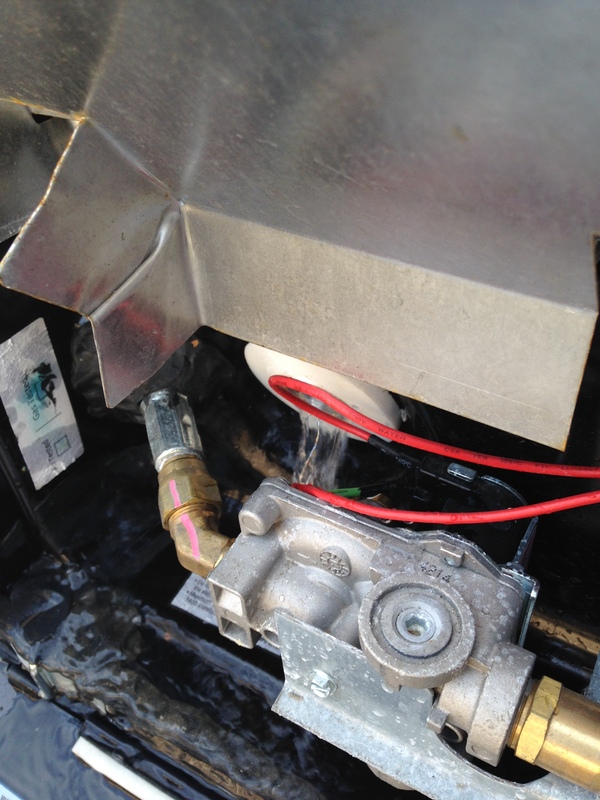 Then the water pump was accessed behind the vent plate located behind the second row passenger seat. This is necessary so as to remove the filter bowl and empty it. 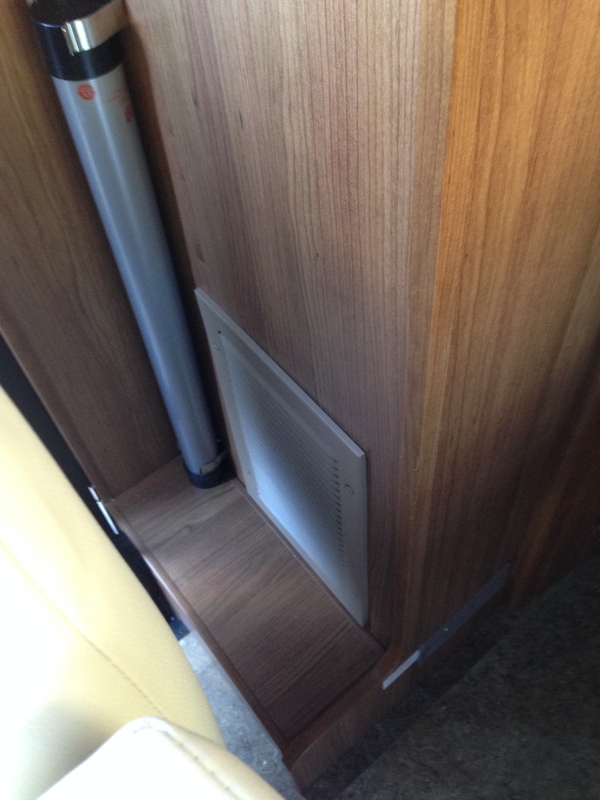 As an aside, why does Winnebago use sacrificial fastening techniques (wood screws into soft wood to hold the vent against the wall) when they know these screws will be regularly removed and re-installed? Unscrew the filter bowl and empty the water from the bowl. Empty the bowl, screw it back on the pump and re-install the vent plate. Now, it is common knowledge that we do not use the appurtenance that leads into the black water tank. So the only water that is in there is clean fresh water that we use to keep the seals from drying out. So that water was drained from the black water tank, and the gray water tank was also emptied. So at this point, there is very little water left in the unit. At least not enough to cause damage if it freezes–which is the point, correct? 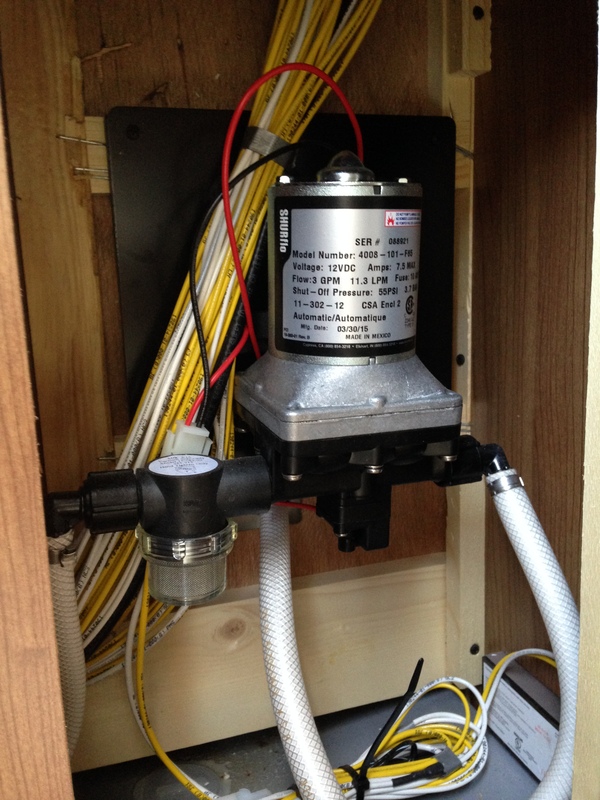 All valves, plugs and faucets were then confirmed as being closed/installed. 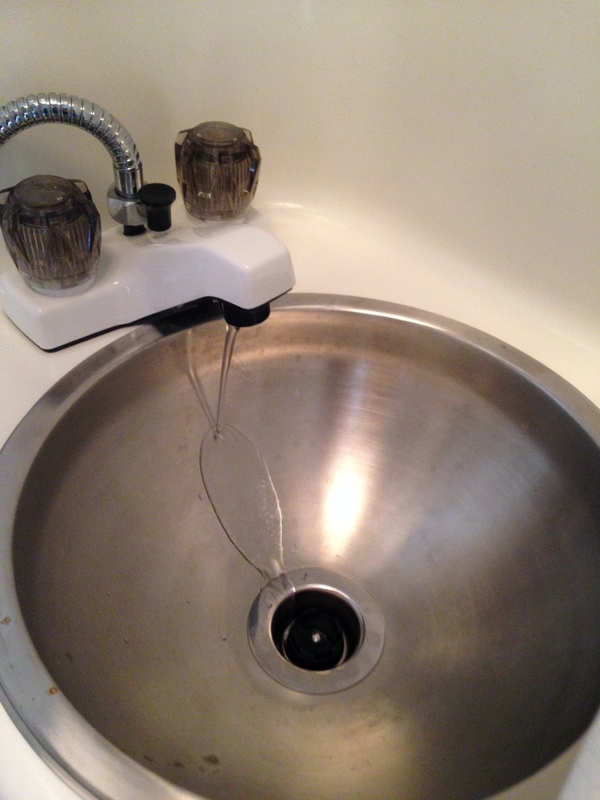 The final step was to pour a cup of the RV anti-freeze (the pink stuff, available for $5.00 at O’Reilly Auto Parts) into the galley sink drain and the head sink drain. This is to create a barrier between the gray water tank and the drains. And so ends 2015. 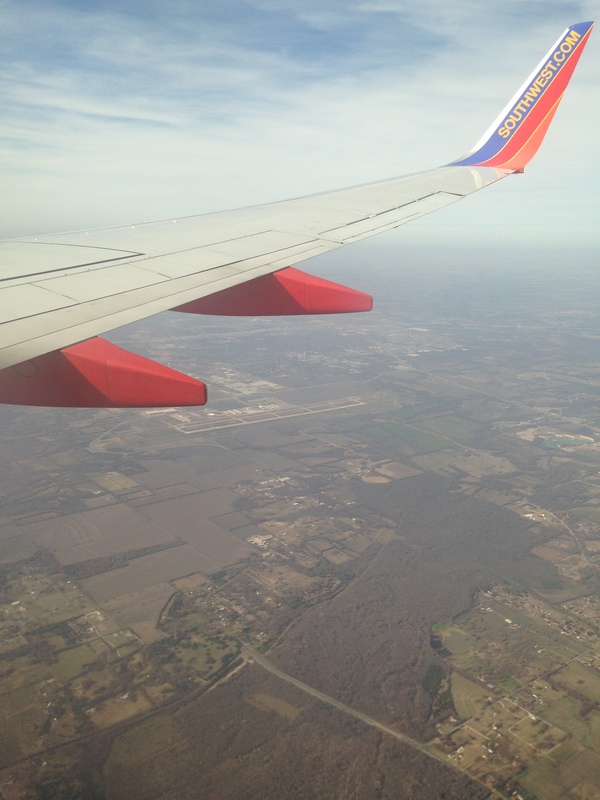 Soon, we are headed back West, the even further West to run our first Half Marathon of 2016. See ya in 2016! Have a Good New Year. This entry was posted in 10K Runs, 5K runs, Half Marathons, McClains RV, Winnebago and tagged McClains, Winnebago. Bookmark the permalink. Being close to the coast in CA I have never had to winterize. Reading your post I am even more thankful, but also think I could mange if I ever need to! 🙂 And best wishes for many successful races in 2016! Usually in January or early February the Dallas area gets a stretch of a few days of sub-freezing temps. It is not even close to what our RV colleagues in Ohio and Michigan have to contend with. 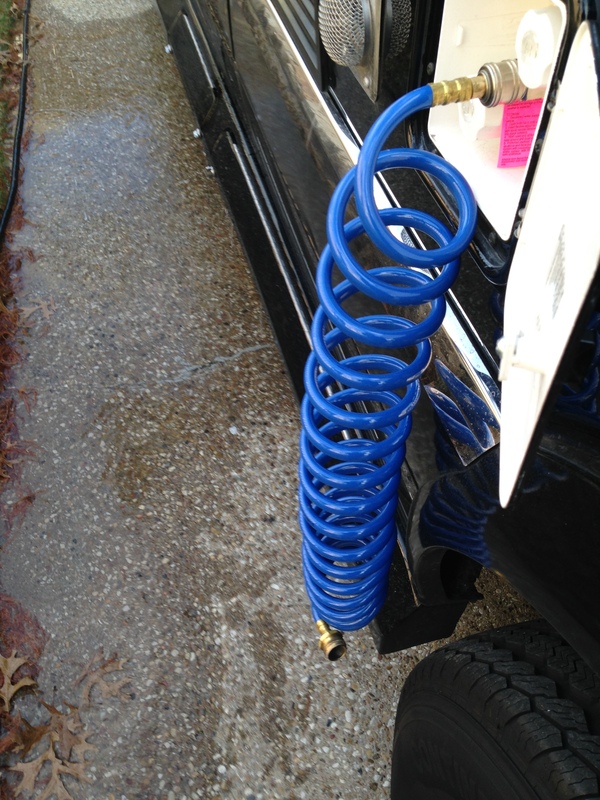 So it is a pain, and seems overkill, to have to winterize in response to those 4-5 cold Texas days. 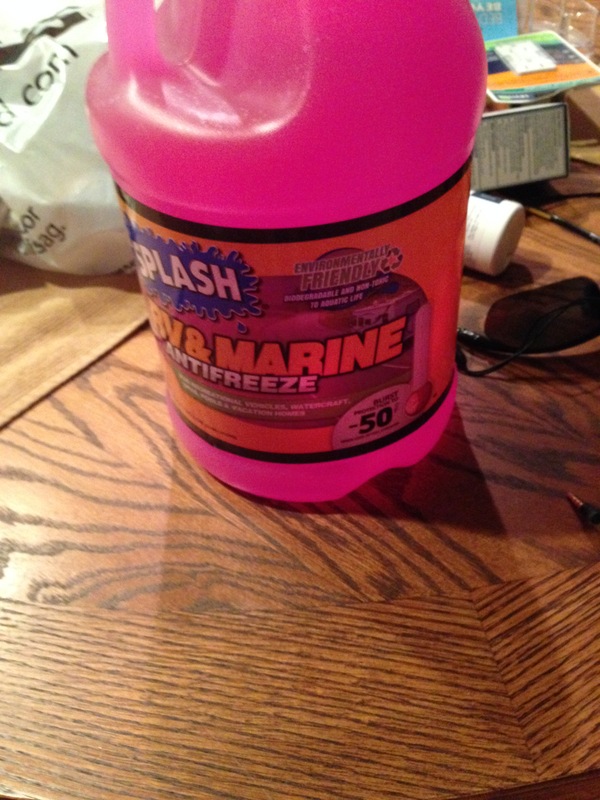 Nonetheless, the fates will surely punish those North Texans who don’t invest the 45 minutes and $5 in a jug of the pink stuff. One can hope that global warming makes winterizing a thing of the past. In the meantime, we are looking forward to March when we can bring the unit back out West.